Since the colder weather is coming the shops are instantly filed with mulberry, forest green and navy shades. I’m usually not one to wear ‘winter colous’ in the cold weather and ‘summer colours’ in the warm weather. I pretty much wear the same shades and pieces all year round. But this year I’m very attracted to all shades mulberry and burgundy. I’d definitely wear this colour all year but it only seems to be available in the shops during winter. 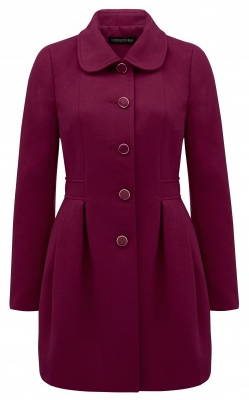 This coat is actually less of a purple tone and more of a red tone in person. I’ve never owned anything in this shade before and it’s completely gorgeous. It is actually the same coat which I have in light blue which I received for my birthday; I showed it in my youtube video here. I love the design, it’s so flattering. Forever New keeps releasing this coat in more and more unique shades such as blonde, ballerina pink, forest green and lilac petal. I wish I could buy it in six colours! 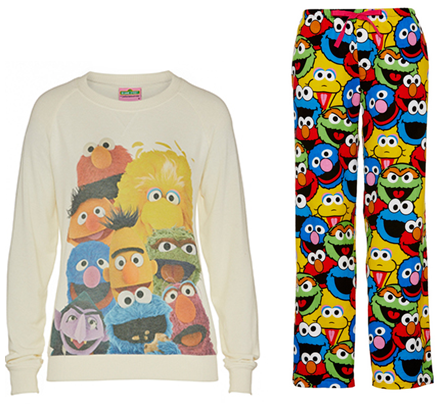 It’s not everyday that you see Sesame Street Pyjamas; I think I’m actually going to have to buy this set. There should be more fun character related pieces around; these are the ultimate and perfect pyjamas. They of course bring back many memories of the amazing shows we watched in the 90s and that crazy big bird. I’ve always loved Peter Alexander pyjamas but I don’t have too many because they are rather expensive. I guess that makes the pairs I have more special. I love the trend of fluffy jumpers/tops but the oversized jumpers that we usually see in the shops aren’t really my style. As soon as I saw this I knew it was perfect and totally my style; It’s much more delicate, feminine and pretty. As I mentioned in my Tiffany blue post here, I love this colour right now; it’s one of my favourites. Guess bags are my weakness, I can’t resist a shiny beautiful new one. I especially like the ‘Delaney’ style as it’s sturdy and classy and a good size. I have the ‘Delaney design’ in a couple of other patterns; namely black & white polka dots and pink logo. There are a few others which I have my eye on such as the leopard print version but my absolute favourite is the stripe version. I don’t often see too many stripe bags around; in fact patterned bags in general can often be rare, so stripes would be an amazing addition to any wardrobe. I’ve had my eye on this dress for awhile now and it’s perfect for me since the little white cats very closelyresemble my Juliette Princess Miracle. A cat printed dress is amazing but a dress with fluffy white cats is even more amazing. Some of the kitty cats are playing and others are wearing crowns. The kitties are very pretty against the pale blue background. It’s also the fit and flare silhouette that I love the most. It’s Bea & Dot from Modcloth and I’ve always been happy with my fun and uniquely printed pieces from that brand. 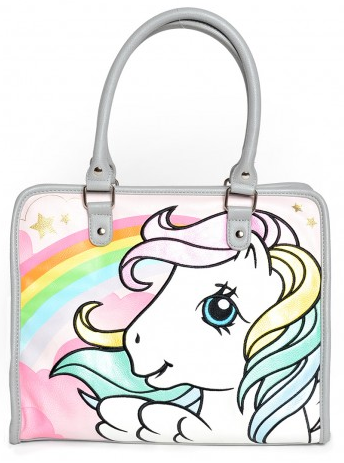 I love the bags from Pinup Girl Clothing; the range of Ariel, Snow White, Belleand My Little Pony bags are so unique and amazing. 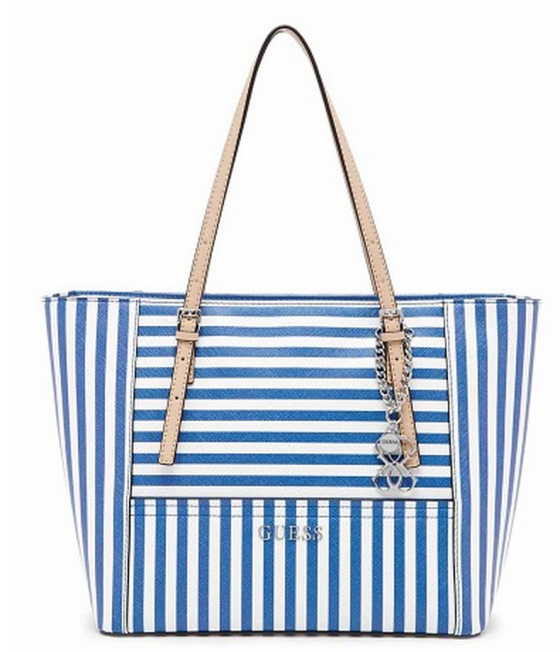 It’s pretty obvious why I want this bag, I mean it’s just the best. I’d own so many more Pinup Girl Clothing bags if the postage wasn’t so high to Australia. I used to own the Little Mermaid Pencil Case and lost it. I was going to replace it but was very discouraged to see that the postage for one $10 pencil case was $35. I surely can’t justify that. That sesame street outfit is so cute. Oh my god, the pony bag and the kitty dress are priceless! The fluffy sweater is adorable. I can totally see you in the kitty dress. In Italy it's spring (but not today… ). Great picks. I really adore the Chalk of the town dress. 🙂 So adorable. OMG so cute! I love that jacket, I would totally wear that color all year too! The kittens print is so adorable!!! Love it! Such cute and pretty pieces! LOVE the coat and Guess bag. Oh.my.gosh, fluffy cardigans — again? My childhood aka the 90s, is definitely back. It's official. Love the cardi! Ia free it is perfect for you! I also love that tote, and would love to have such fun pajamas ! High waisted jeans, in blue denim and white.